A sign urging Barton Highway drivers to stick to the speed limit. Photo: Yass Valley Shire Council. There are significant delays on the Barton Highway in both directions this afternoon after a crash involving three cars, a car trailer and a horse trailer at Murrumbateman. ACT Fire & Rescue and ACT Ambulance Service responded to the accident. Paramedics assessed persons at the scene but there were no injuries that required medical treatment. 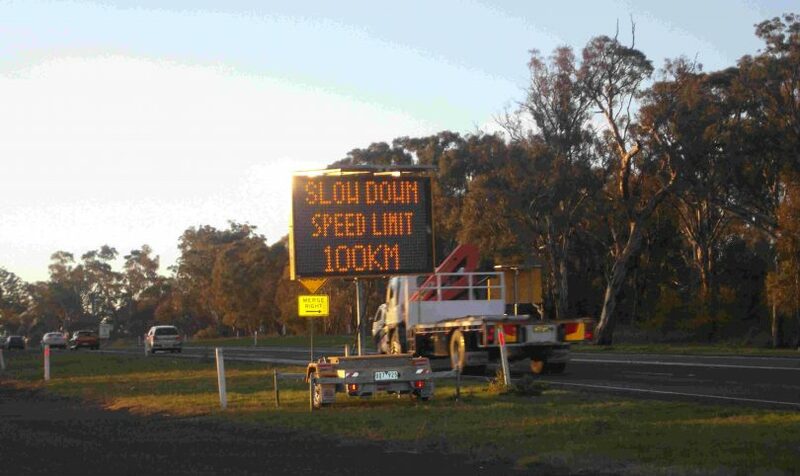 There are significant traffic delays impacting ACT motorists, with the Barton Highway restricted in both directions. ACT Policing reminded motorists to pay attention and take care when travelling interstate over the holiday period. The incident has been handed over to NSW Police.